The Camerata Chorale of Poughkeepsie was founded in 1963 as a not-for-profit, non-sectarian choral ensemble whose members are drawn from more than 20 Hudson Valley communities. Membership in the Camerata is by audition and the group rehearses weekly, presenting at least three varied programs each season, including music from the Middle Ages to the 21st century, in as many as seven languages. The ensemble has performed most of the established major and minor choral works in the repertoire during its 44-year history. Camerata performs regularly with the Ulster Choral Society of Kingston and the Bach-Handel Festival Orchestra. They have sung on many occasions with the Hudson Valley Philharmonic and such chamber ensembles as the Tudor Brass Quintet. Concerts are often given in Poughkeepsie at the Bardavon 1869 Opera House and the Ulster Performing Arts Center in Kingston, as well as many area churches. Under the direction of conductor Lee H. Pritchard, the Camerata Chorale has grown in stature and continues to be highly acclaimed by critics and audiences alike. On two separate occasions, in 1992 and 2001, the Chorale received the Dutchess County Executive’s Arts Award for excellence as an Arts Organization. This award was also in recognition of the contribution of Camerata’s Director, Lee H. Pritchard, to the Arts in the Hudson Valley, particularly Dutchess County. The Chorale has sung five times at Carnegie Hall under the direction of David Randolph, performing the Berlioz Requiem (1991 and 1996), the Verdi Requiem (1993), and the Dvorák Requiem (1995). Their last appearance at Carnegie was in December 2000, when they sang Gerald Finzi’s For St. Cecilia and In Terra Pax and Mendelssohn’s Symphony No. 2, “Lobgesang” with the St. Cecilia Chorus and Orchestra. In May of 1995 Pritchard and the Camerata were privileged to present the New York premiere of Richard Einhorn’s oratorio Voices of Light, accompanying three showings of Dreyer’s classic film The Passion of Joan of Arc, at the Bardavon in Poughkeepsie. The Oratorio was again performed at the Brooklyn Academy of Music in October 1995 with members of the Brooklyn Philharmonic with Lucinda Carver conducting. A fifth performance was given at the Mid-Hudson Civic Center in April 2001, featuring the acclaimed vocal quartet Anonymous Four, with Maestro Pritchard conducting. 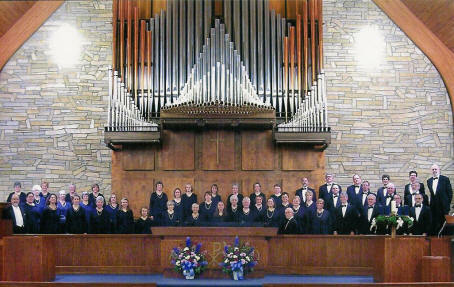 The Camerata Chorale was honored to be selected as a major performing ensemble at the Region II & III American Guild of Organists Convention held in Poughkeepsie, New York in June 2005. A full concert of French choral music from the 15th to the 20th centuries, culminating with the Duruflé Requiem, capped the Convention’s concert activities. A choral techniques workshop featuring the techniques of Robert Shaw was offered to the participants. Lee Pritchard was the Clinician. With the formation of the Choral Union in 2003, the Chorale has been able to mount grand performances of masterworks with the Ulster Choral Society and singers who join us just for these concerts. This series continues in the spring of each concert season and is described more fully on the Choral Union page on this web site. Past performances of the Choral Union have included Mozart’s Requiem and Mass in C Minor, both editions by Robert Levin; Handel’s Messiah and Judas Maccabaeus; and Mendelssohn’s Elijah. Future performances of the Choral Union will include Bach’s Mass in B minor (2008) and Beethoven’s Missa Solemnis (2009). The Camerata Chorale has a multi-purpose agenda. Not only is the quality of our artistic product a primary objective, but we believe we have an important educational mission as well. Our educational mission includes both internal and external components. We include students in our membership, both at the High School and College levels. Students meet the same audition requirements as adult singers. We believe that each rehearsal is a learning opportunity for members who come to share and appreciate the historical and stylistic context of the music being rehearsed each week. Frequently we sight-read additional music by a composer during a rehearsal cycle, and sometimes this includes music of contemporaries. We study musical and textual relationships; we study language and diction problems; and we have a vocal development program which involves all members during allotted rehearsal time. We offer an annual education scholarship to high school students who live in the school districts in which our members reside, and to the districts in the greater Hudson Valley. Students must apply to the Chorale through their High School music teachers and/or guidance counselors. The scholarship is named in honor of revered accompanist emeritus Edward B. Greene. Click here to learn more about this scholarship. The organization receives funding from the Dutchess County Arts Council (Dutchess Arts Fund Project Pool), and Community Service Grants and matching funds support from IBM Poughkeepsie and other corporations. Generous support is received annually during our individual patron and sponsor program. The business community in the greater Hudson Valley is also liberal in its financial support of our ensemble. Several years ago the Chorale established an Endowment Fund to enable the group to explore and fund special artistic endeavors and assist in funding other capital projects. Lee Harold Pritchard has directed the Camerata Chorale of Poughkeepsie since 1966, and the Ulster Choral Society of Kingston since 1978. Joining the faculty of SUNY New Paltz in 1964, he retired from full-time teaching and administration at SUNY New Paltz in 2005 after 40 years of service. During his tenure at the college, Professor Pritchard was Chair of the Music Department at different times for over 15 years. He also chaired the Department of Theatre Arts during some summer sessions. During his tenure he also served as Presiding Officer of the Faculty, Chair of the Fine and Performing Arts Council, and Chair of the Organization Committee. 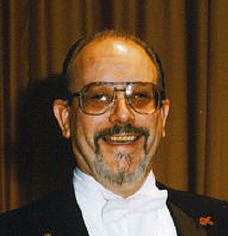 Maestro Pritchard has been guest conductor of many select choirs in the Northeast for over 40 years. His work in theatre led to the establishment of a Musical Theatre degree program at SUNY New Paltz in 1987, where he directed over 45 musicals and opera for the New Paltz Players, the New Paltz Summer Repertory Theatre and McKenna Productions. He also directed works for the Poughkeepsie Ballet Theatre and Ninety Miles Off-Broadway. 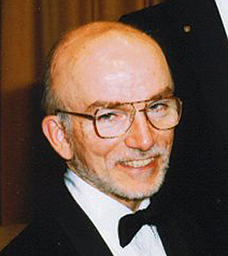 As a co-founder of the Hudson Valley Gilbert & Sullivan Society in 1978 (now the Gilbert & Sullivan Musical Theater Company), Pritchard served on the Board of Directors from 1978-88 and was Music Director and Principal Conductor of the Society, directing the Gilbert and Sullivan canon as well as several other operettas and American musicals. Professor Pritchard received his undergraduate degree from SUNY Fredonia and completed graduate studies at Indiana University School of Music, studying with Donald Moses, Roger Havranek, Paul Matthen, Fiora Contino and Julius Herford. He currently serves as an artistic consultant to the Bardavon Opera House in Poughkeepsie, often appearing as resident guest conductor. Maestro Pritchard is the founder and conductor of the Bach-Handel Festival Orchestra, organized in 1984 to perform with the choruses in a three-year Bach-Handel Festival. From 1978-1990 he prepared choirs for the Hudson Valley Philharmonic and under the baton of Imre Pallo performed major masterwork concerts annually on the HVP’s Symphony Series. 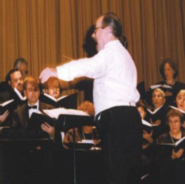 Pritchard prepared the Camerata Chorale and the Ulster Choral Society for Carnegie Hall appearances in 1991, 1993, 1995, 1996 and 2000 with the St. Cecilia Chorus and Orchestra, under the direction of David Randolph. Pritchard continues to prepare choruses for performances with the Hudson Valley Philharmonic, currently under the direction of Randall Craig Fleischer. During the 2007-2008 Fall Season the choirs will be singing on the opening Opera Gala program with the HVP at the Bardavon Opera House. Professor Pritchard has been privileged to study with the late Robert Shaw, Dean of American Choral Conductors, and other prominent conductors such as Helmut Rilling, Charles Dutoit, André Previn, James Conlin, Peter Schreier, Ton Koopman and Neville Marriner at the Professional Choral Workshops sponsored by and held at Carnegie Hall each year since 1991. Pritchard was also selected to participate in the two week Choral Institute led by Robert Shaw, held at Furman University in June 1998. Gary Palmieri has been the accompanist for the Camerata Chorale and the Ulster Choral Society for many years and also serves as an Assistant Director for the choirs. He recently retired as choral director at Arlington High School in Poughkeepsie, New York. He holds bachelor's and master's degrees in music education and has extensive graduate work in piano and choral conducting from Western Connecticut State University and the Hartt College of Music. He has also been accompanist and associate music director for the Gilbert & Sullivan Musical Theater Company for several years. Mr. Palmieri is an adjunct faculty member at SUNY New Paltz, serves as accompanist for choral activities, and is also a vocal coach, studio accompanist, and tutor in music theory. He has a wide range of experience in directing, producing and accompanying over 150 musicals with such groups as the Sharon Playhouse, the Gilbert & Sullivan Musical Theater Company, SUNY New Paltz Music Theater Workshop, the Hotchkiss Summer Theatre, Har-Bur Summer Theatre, Children’s Community Theater, Amity, Housatonic and Arlington High Schools. Mr. Palmieri prepared the Arlington Chorus for five appearances at Carnegie Hall where they performed with composer/conductor John Rutter, Weston Noble, the Manhattan Philharmonic, and the New England Conservatory Orchestra.